The Voice fans are not pleased with Adam Levine right now. 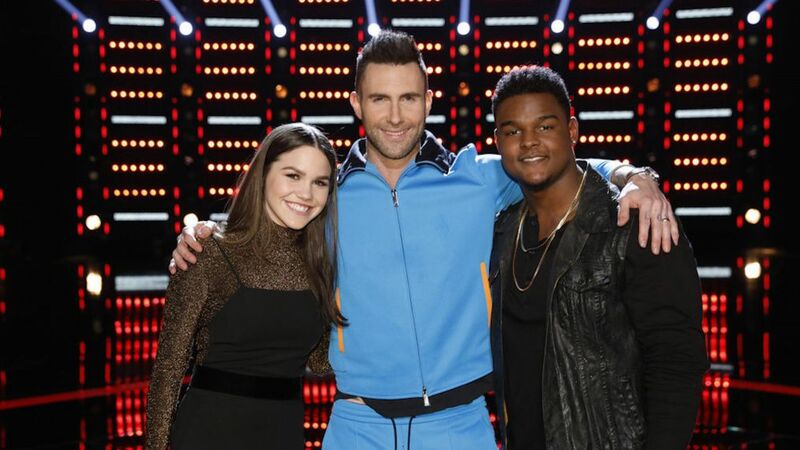 The longtime coach sparked major controversy on social media during Tuesday night's Top 10 eliminations, after both of his remaining team members, Reagan Strange and DeAndre Nico, wound up in the bottom three (alongside Team Blake's Dave Fenley), and [SPOILER] Adam only stuck up for one of them. Will these singers be the ones to beat this season? While Reagan was too sick to perform to save her spot in the competition, DeAndre powered through, singing "All of Me." But when it came time for his coach to discuss his Instant Save performance, Adam instead decided to harp on about other team member Reagan. "There is an unbelievably talented little girl right now who is not able to fight for her position on this show," he gushed of the 14-year-old. "The thought of breaking her heart by not urging everyone to give this girl a shot to go and redeem herself next week would be too far beneath me." He continued, "I gotta fight for my girl. I’ve gotta make sure that I represent her properly in this moment because she didn’t have a chance to use her voice tonight, so I’m gonna use it for her as well as I possibly can to make sure she can make it next week." Ultimately, his pleas worked, as Reagan was saved with a narrow 38 percent to 37 percent margin over DeAndre. And needless to say, the fans were not pleased on Twitter, as #VoiceSaveDeAndre had been trending throughout the show. Scroll down to see what viewers were saying, and sound off in the poll below: Did Adam screw over DeAndre by fighting for Reagan?